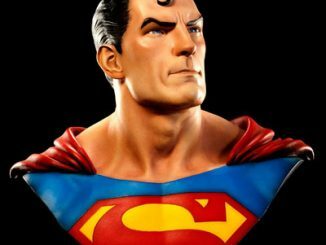 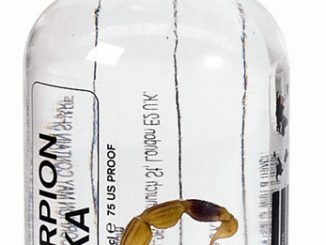 Get over here and take a look at the Mortal Kombat Scorpion Life-Size Bust. 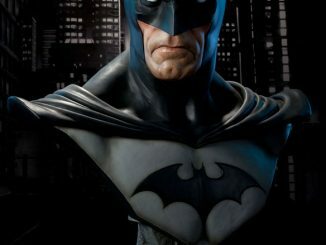 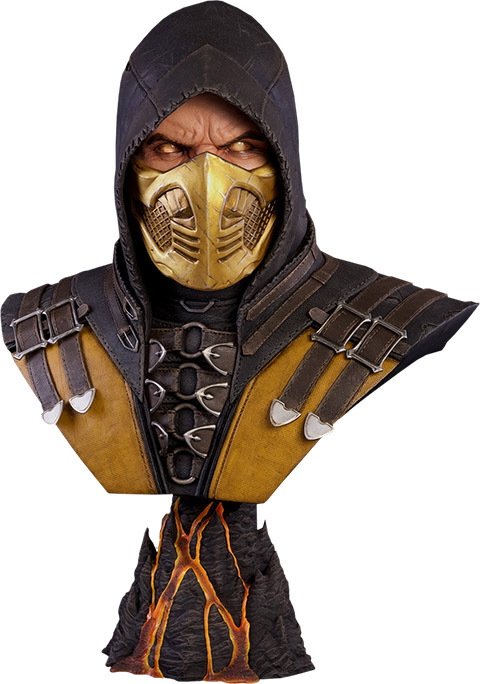 Killed by Sub-Zero and transformed into a demon of the Underworld, the ninja warrior known as Scorpion really knows how to grab an opponent’s attention… and that’s exactly what this 30-inch-tall bust does, too. 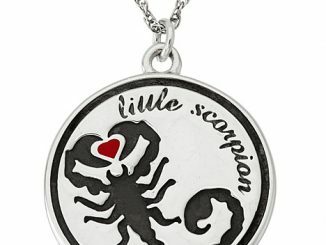 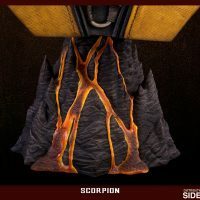 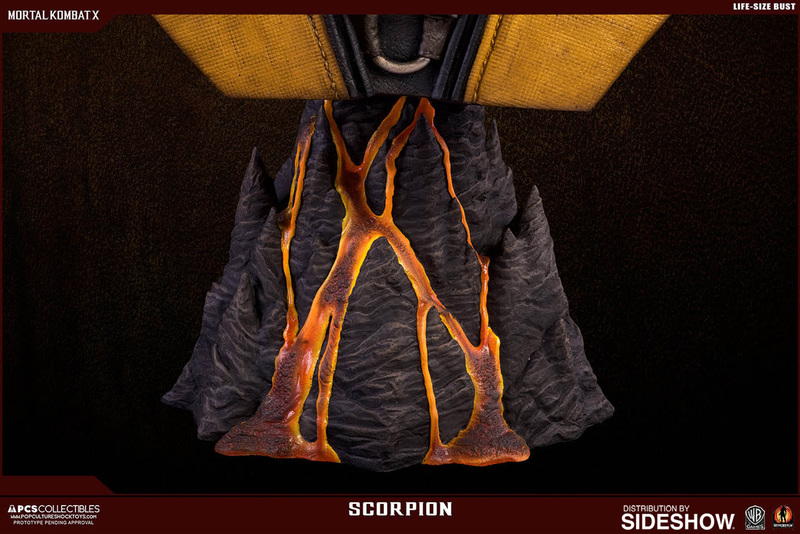 Featuring a highly-detailed outfit and a pedestal of molten lava, Scorpion stares at you with his freaky undead eyes, determined to have revenge for the deaths of his wife and child. 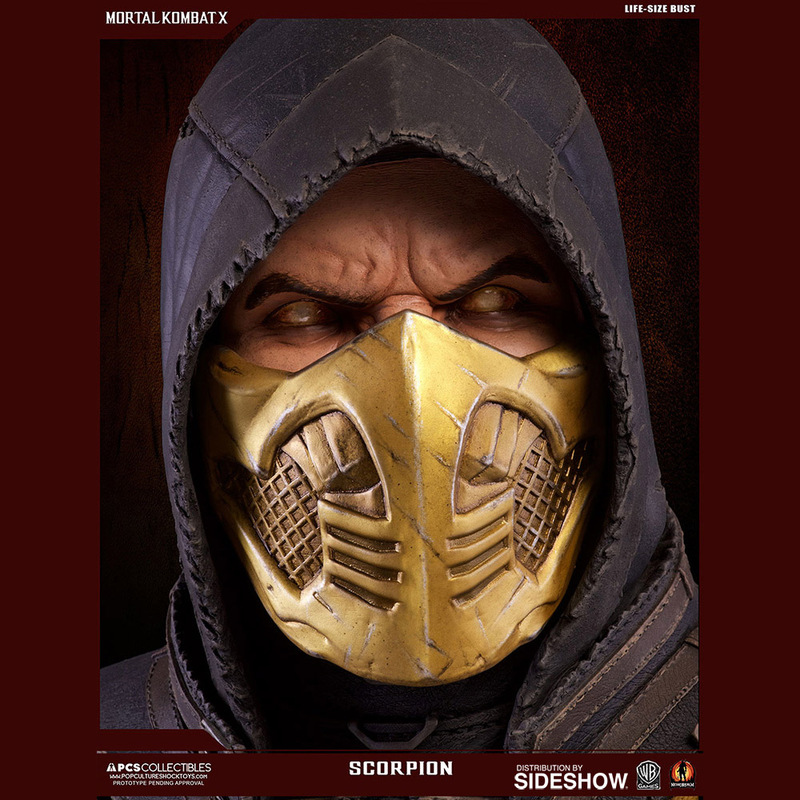 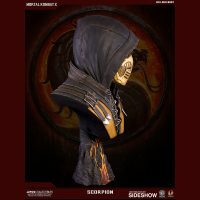 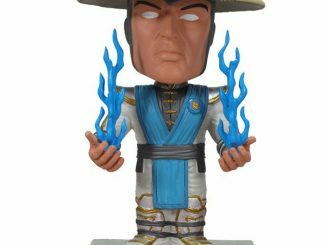 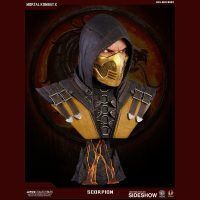 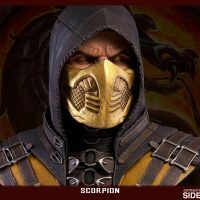 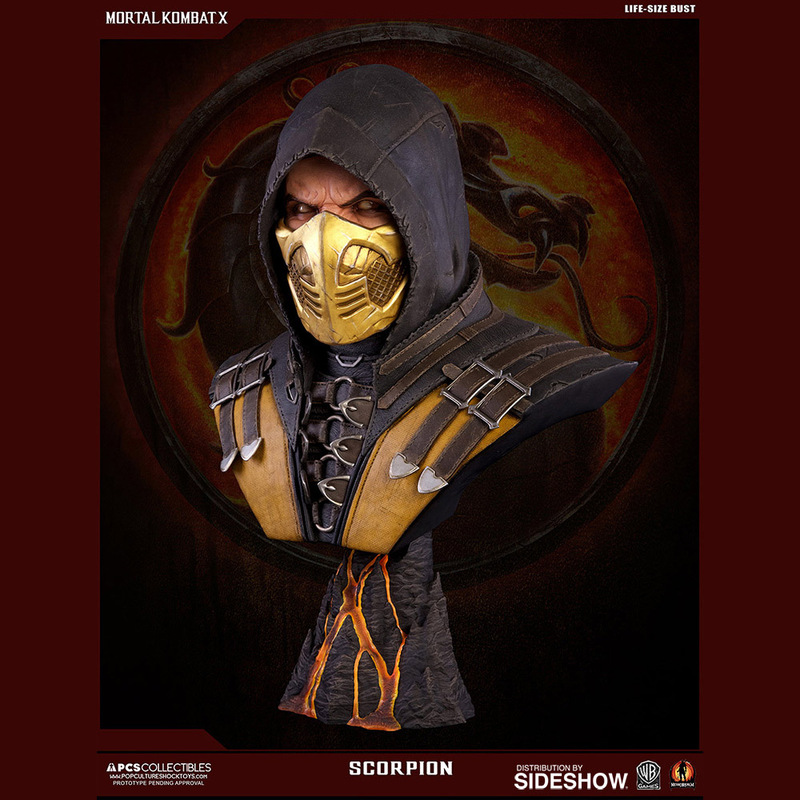 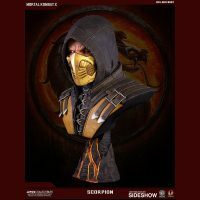 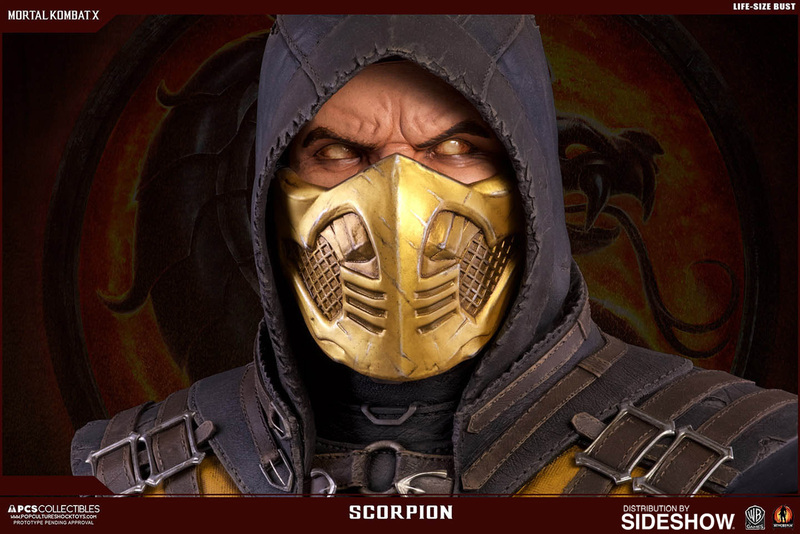 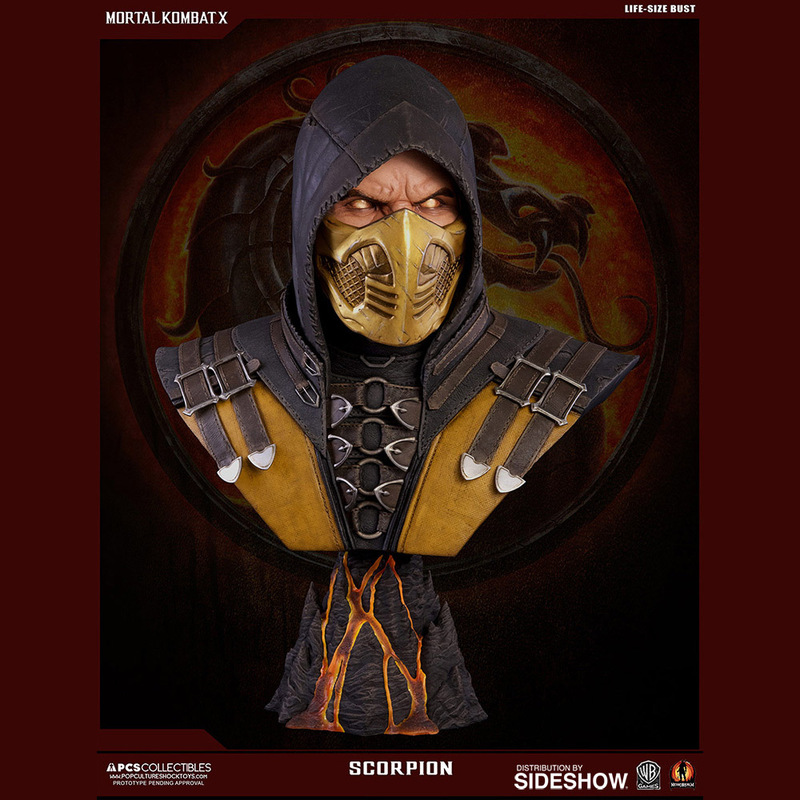 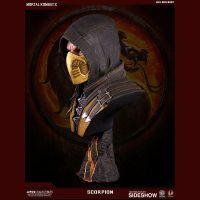 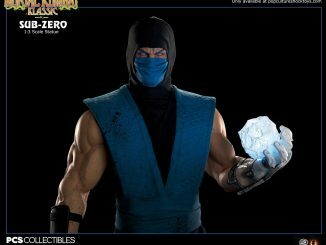 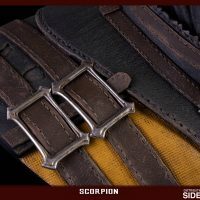 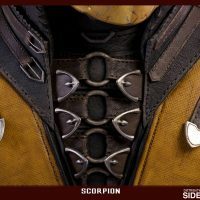 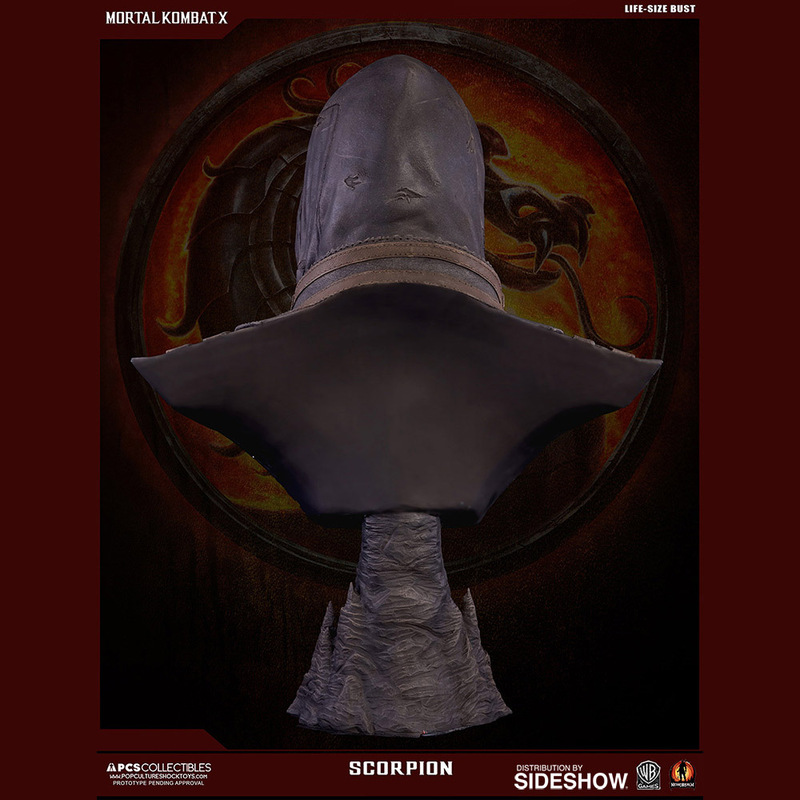 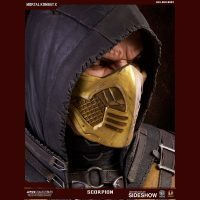 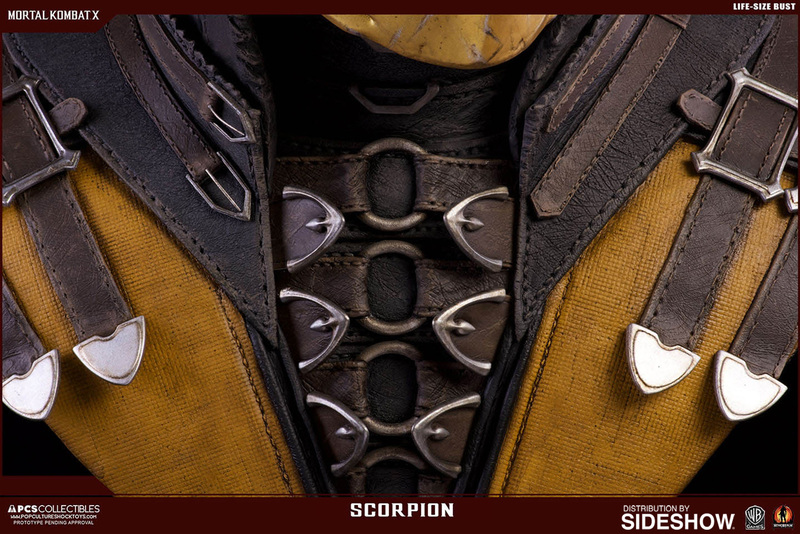 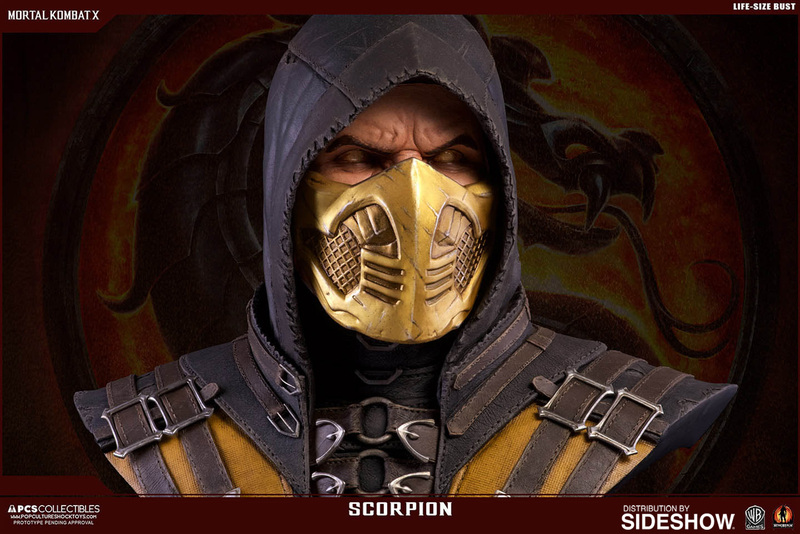 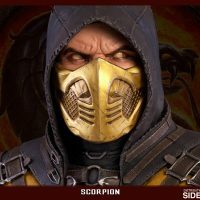 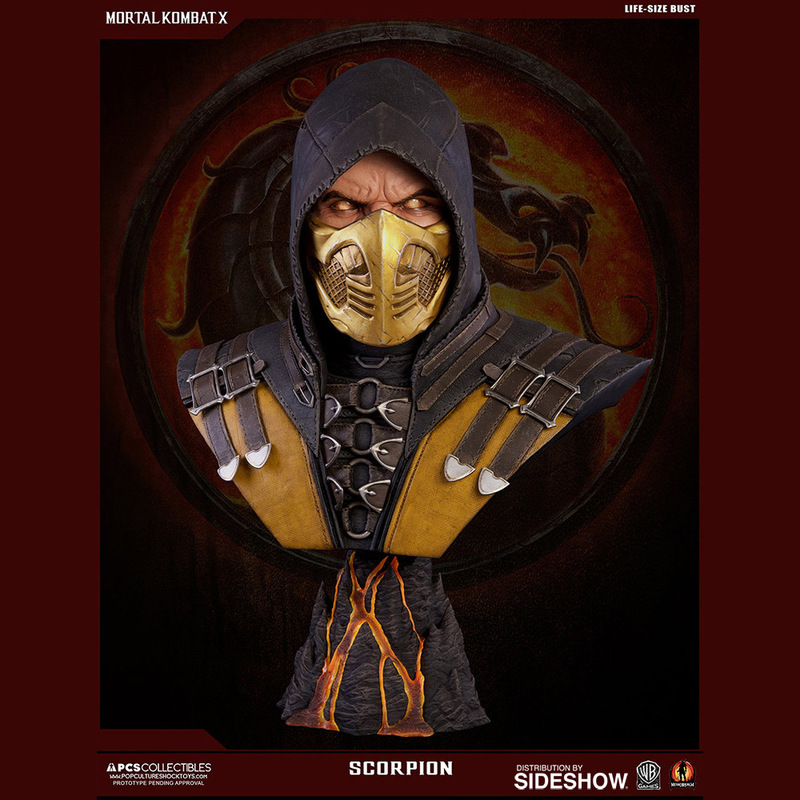 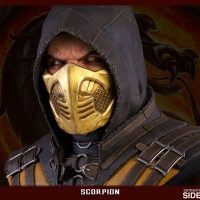 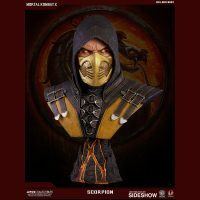 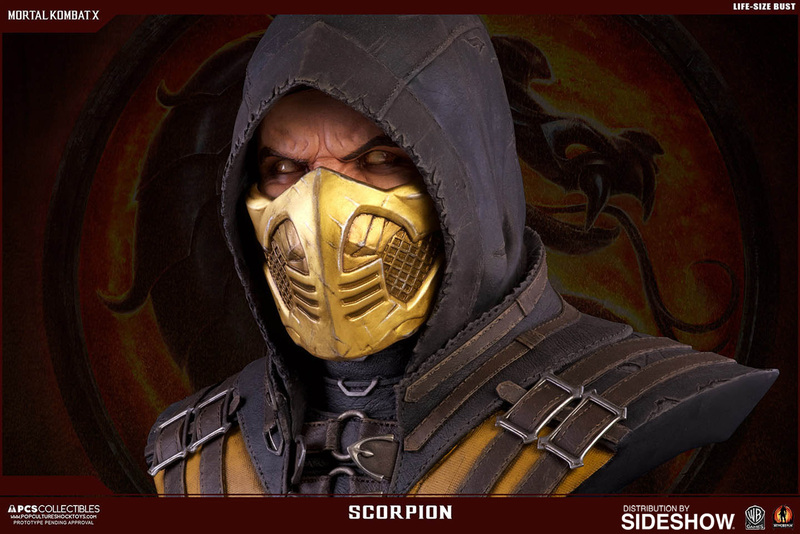 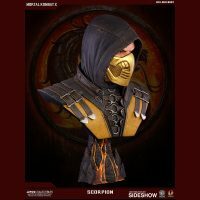 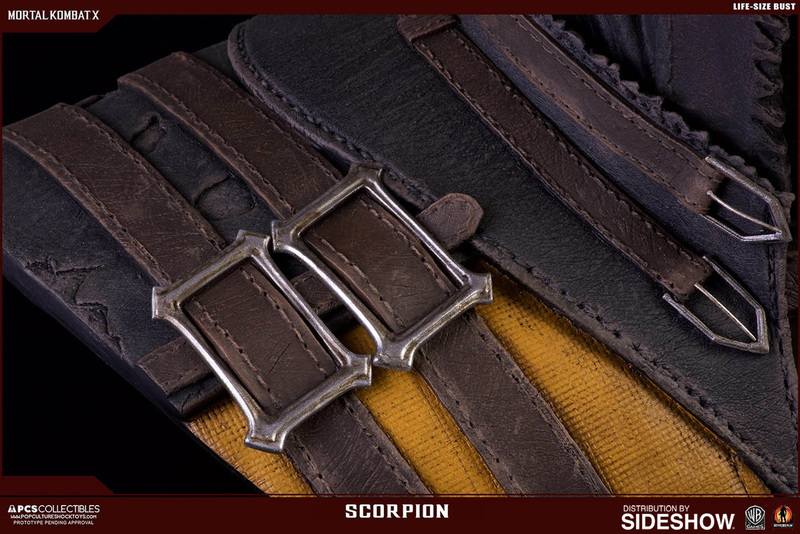 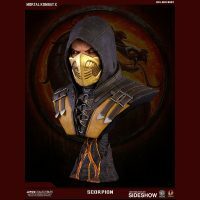 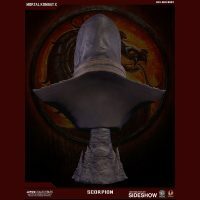 The Mortal Kombat Scorpion Life-Size Bust will be available Jan 2018 – Mar 2018 but it can be pre-ordered now for $1049.99 at Sideshow Collectibles.